Quote from the movie Bruce Almighty: "Inside bad, outside good." Enhancing the appearance of a QR Code is nice method to make the image more appealing, or more fitting with the article or advertizement it is accompanying. This beauty is only on the outside however, it actually is the inside that really counts. After a code is scanned, marketing wise you made a promise to the persons scanning the code, that the content of the code is actually relevant information, or linking him to relevant information, that can be viewed on the device he uses for scanning. Since a QR Code can link to all kinds of information on the internet, it is clear that the inside is definitely much bigger than the outside. If the inside, i.e. 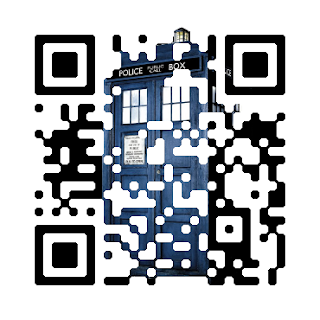 the content of the QR Code is bad; it is no longer relevant how good the outside or the codes appearance is.